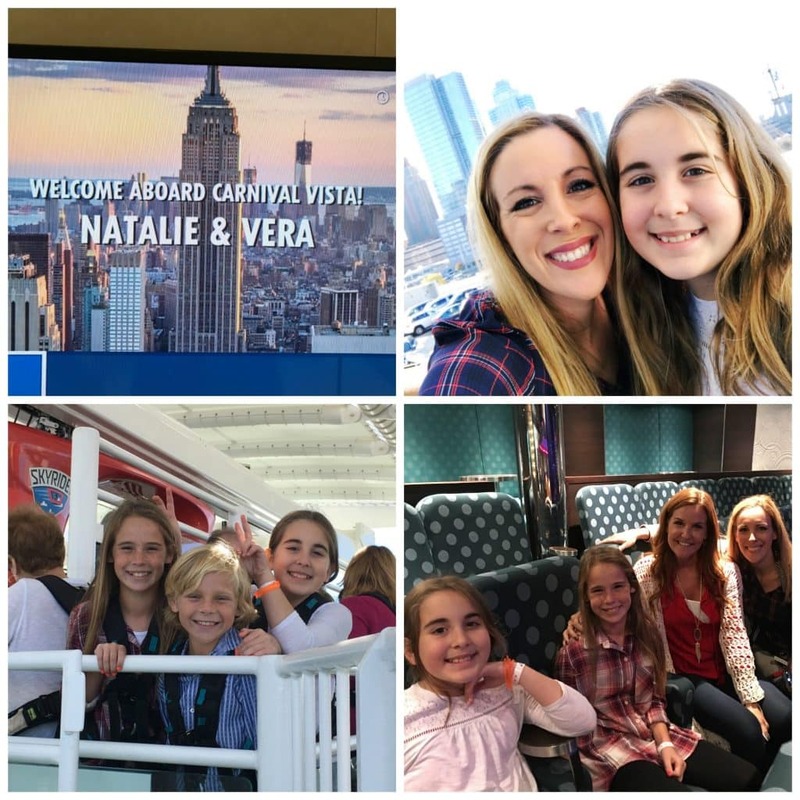 This weekend, I had the pleasure of boarding the Carnival Vista for an overnight press trip and my daughter, Natalie, joined me! We had so much fun because not only did we get to enjoy all that the boat had to offer, but we also saw a private concert by Carrie Underwood! Lots of pictures below — so keep scrolling. Great news – I even filmed some of her sets. Be sure to check out my YouTube video to see Carrie in all of her glory. LOVE HER! That girl can certainly put on a show!!!! 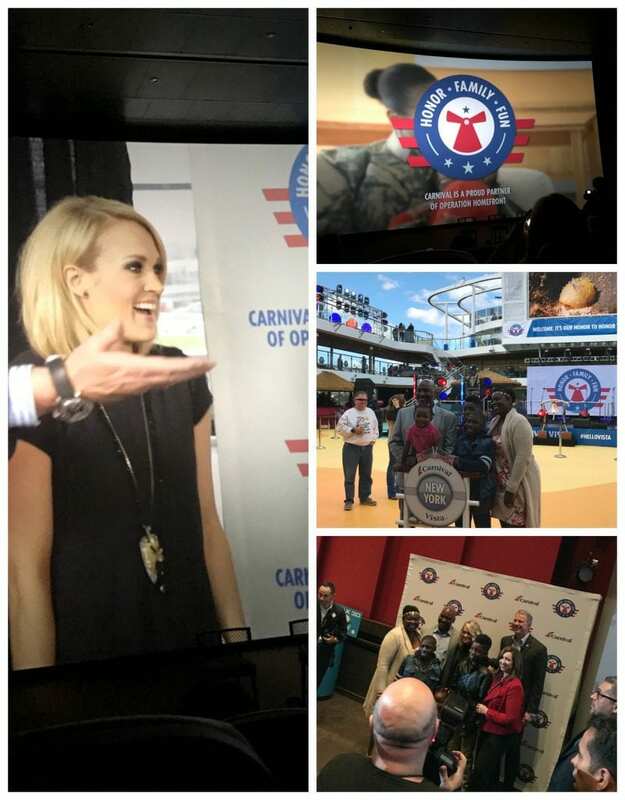 You might be wondering why Carrie Underwood was aboard the Carnival Vista. It’s for such an incredible reason. 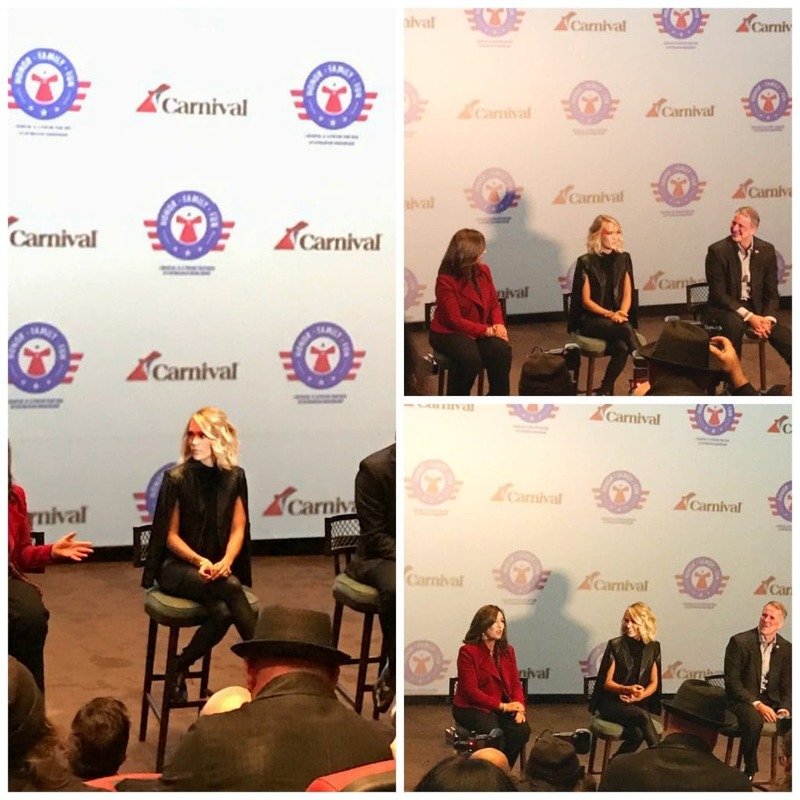 To celebrate the U.S. arrival of its newest, largest and most innovative ship, Carnival Cruise Line held an overnight gala in New York featuring a concert for Operation Homefront military families by the Country Music Association’s Female Vocalist of the Year, Carrie Underwood. That’s right – the ship I boarded was filled with hundreds of military families all being honored by Carnival. So thankful to be part of that special day. The event also included the ship’s official naming ceremony with Miss USA Deshauna Barber – the first woman serving in the U.S. military to hold the title — presiding over the ceremonies as official “godmother”. She teared me up while giving her speech because she spoke about how important it was to really appreciate the people who are by your side. The people to your left and to your right — don’t ever take them for granted. I don’t know why, but that really hit home for me. Powerful. The festivities represent the culmination of Honor.Family.Fun., Carnival’s year-long celebration to support Operation Homefront and help the organization fulfill its mission of building strong, stable, and secure military families. 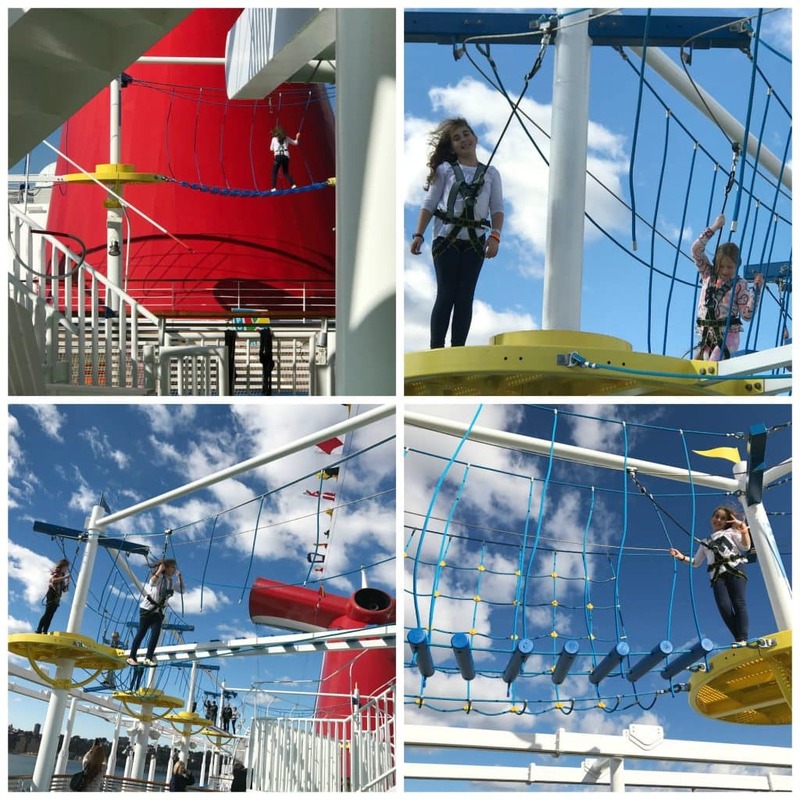 After the ceremony, I joined some friends, and we let our children enjoy all that is the Carnival Vista. I can see why so many people are booking longer vacations on this ship! In just one day, we were able to do SO MUCH. Imagine if you had 11? Oh my goodness!! Naturally, Natalie wanted to try one of those fruity Caribbean drinks – the virgin kind. So, we asked for two and enjoyed some calm on one of the top decks. Luckily, we had perfect weather for our girl-time moments. Exploring is always so much fun – and we didn’t leave a stone unturned on the Vista. 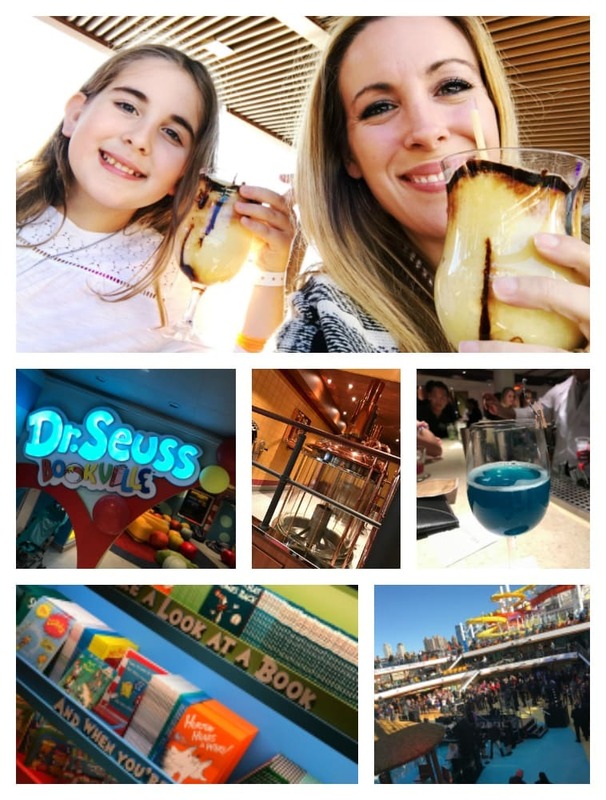 We checked out the kids’ club, the pool and slides area, several restaurants and bars and even found the Dr. Seuss Bookville nook – a place where families can sit down and read together when they just want to unwind but still stay together. Now, onto the concert!! 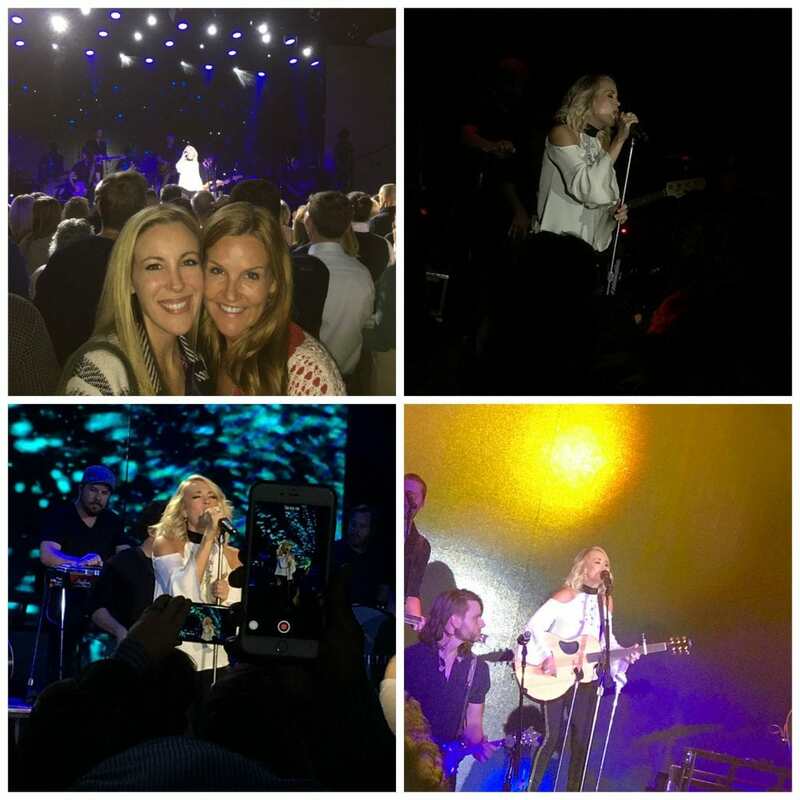 Carrie Underwood performed an hour-long set for hundreds of military personnel and their families aboard the Carnival Vista. The kids were beyond thrilled to be in the room as well!! Be sure to watch my video above to catch some of her songs. SO SO GOOD! PS – I took 305 photos during this concert. The amount of time I spent editing was… crazy. LOL! I couldn’t help it. 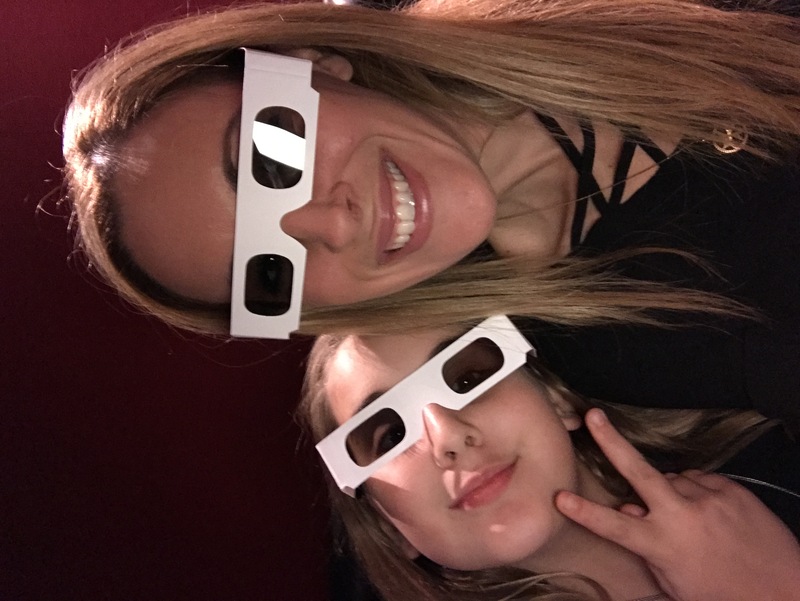 One of our favorite activities was a 3-D movie theatre where the action met you in the seat. We moved, shook and even got a little wet. 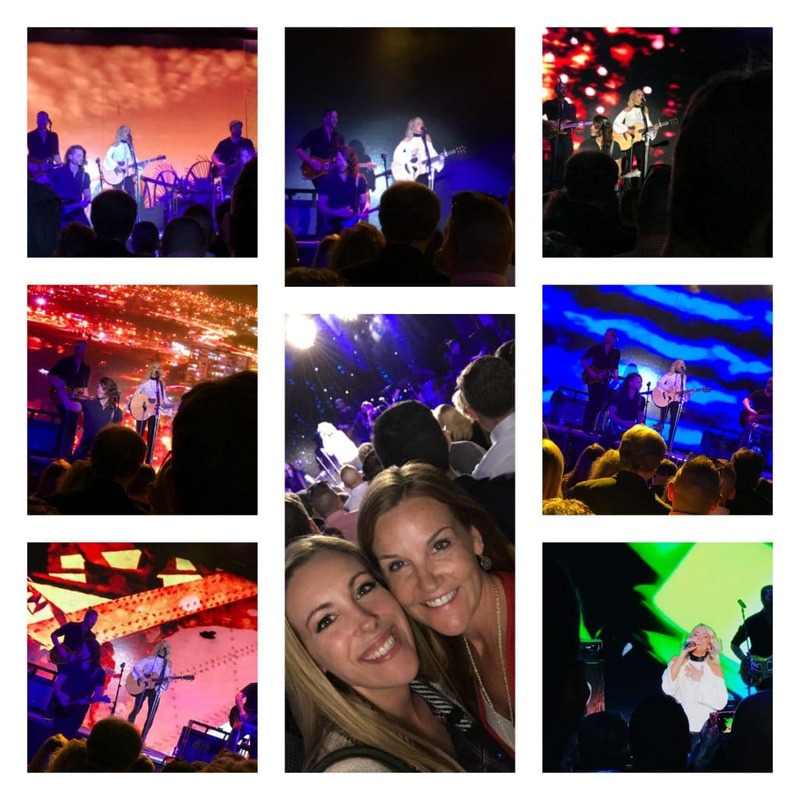 Super fun – and the show always changes which means that there will be something new to come back and see. 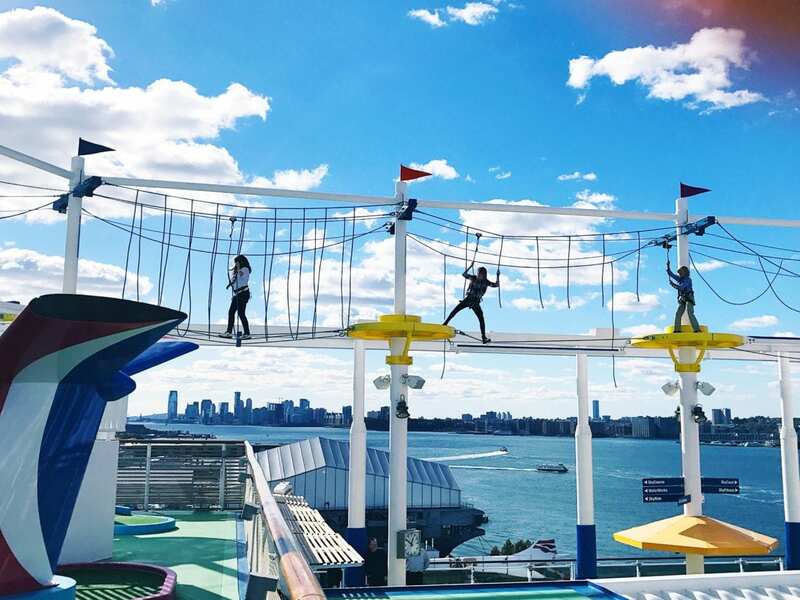 Carnival Vista will operate a pair of 11-day sailings from New York before launching year-round six- and eight-day Caribbean service from Miami beginning Nov. 27. This is a boat you do not want to miss out on!! 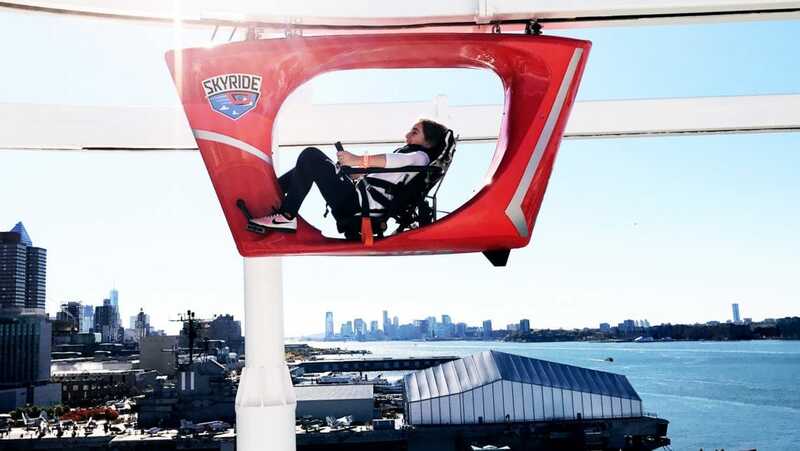 To learn more about the Carnival Vista, click here. *Carnival invited me on board and provided accommodations. All opinions are my own. I loved following everyone on this trip! Seemed like such a fun time. Plus love Carrie! What a fun event and you got to share it with your daughter that’s precious! And a great cause too. And what about Carrie Underwood? I love her! Wow this cruise looks like it was incredible! I would have a blast doing all the fun stuff and eating. It is very cool that Carrie Underwood was on board. What an awesome night!!! That boat looks amazing and I LOVE Carrie Underwood! Love that they were honoring the military, too! Awesome! 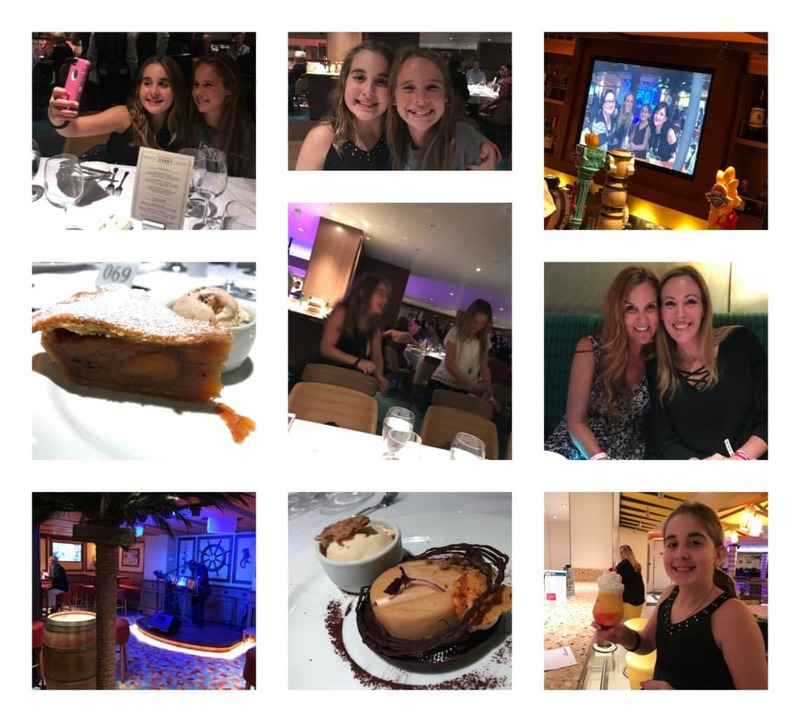 I would love to go on a cruise again! It looks like you had a blast! The only cruise I ever took was on a Carnival ship, love them! It looks like you had a blast! It’s so awesome that they held a concert for Operation Homefront. It’s great that they honored the military families. 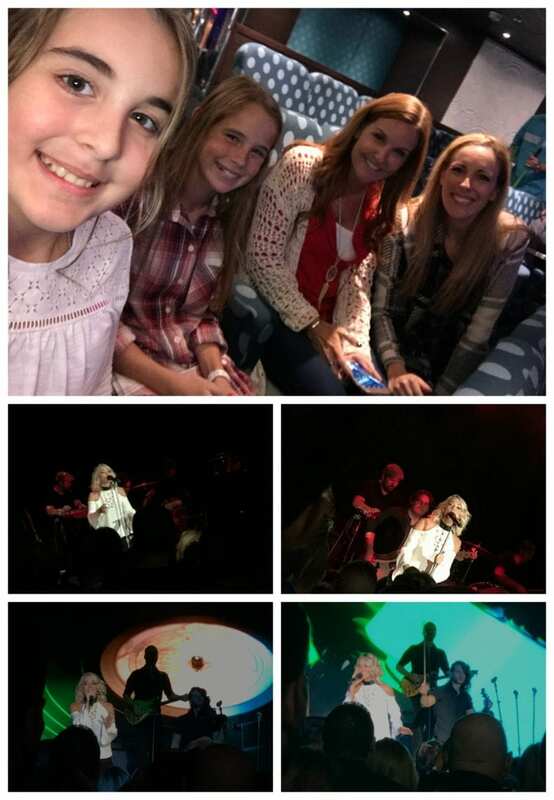 Love that you got to go to a Carrie Underwood concert too!!! 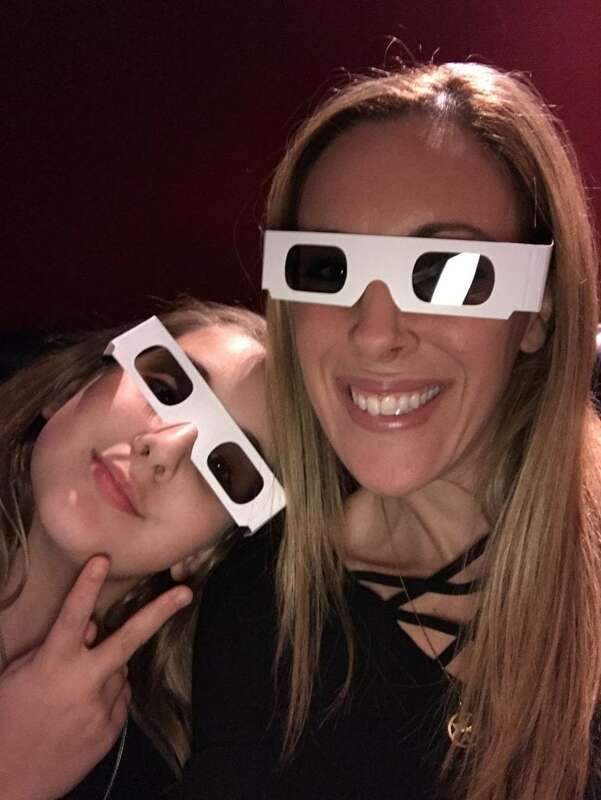 I bet your daughter had an amazing time with you!